June | 2012 | Sorcerers Of The Magic Kingdom: The Blog! With rumors of expanding the spell card library, the possibilities are endless. I can’t help but wonder which route they’ll go. Personally I’d love to see more classic Disney characters and I’d totally geek out over a Roger Rabbit card or anyone from the catalog of Disney Afternoon characters. Even cards incorporating attractions would be a neat idea. 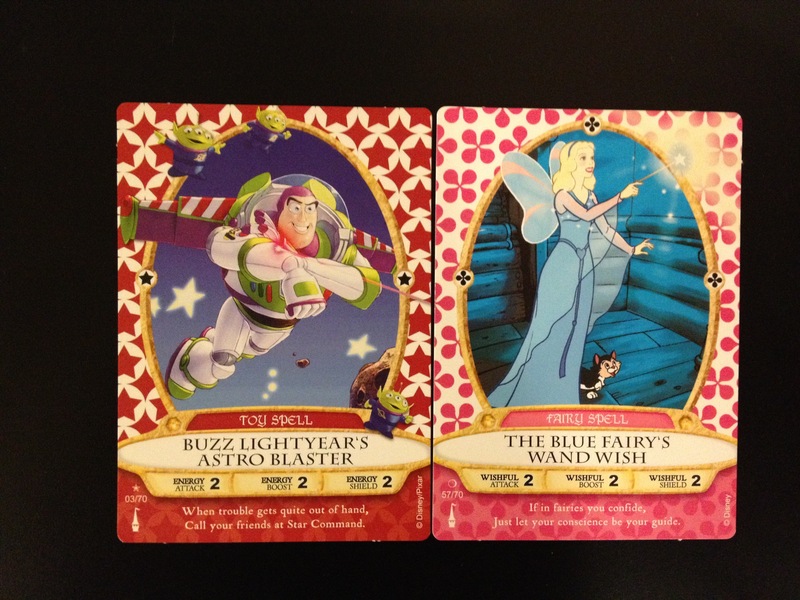 I’d be OK with pretty much anything as long there isn’t a Duffy spell card. That’s where I’m drawing the line. What about you, what would you like to see? Take the poll and leave a comment. Who would be your pick to save the Kingdom?!? Last week I posted an article entitled Pace Yourself with some helpful tips to guide you through your adventure in saving the Magic Kingdom. 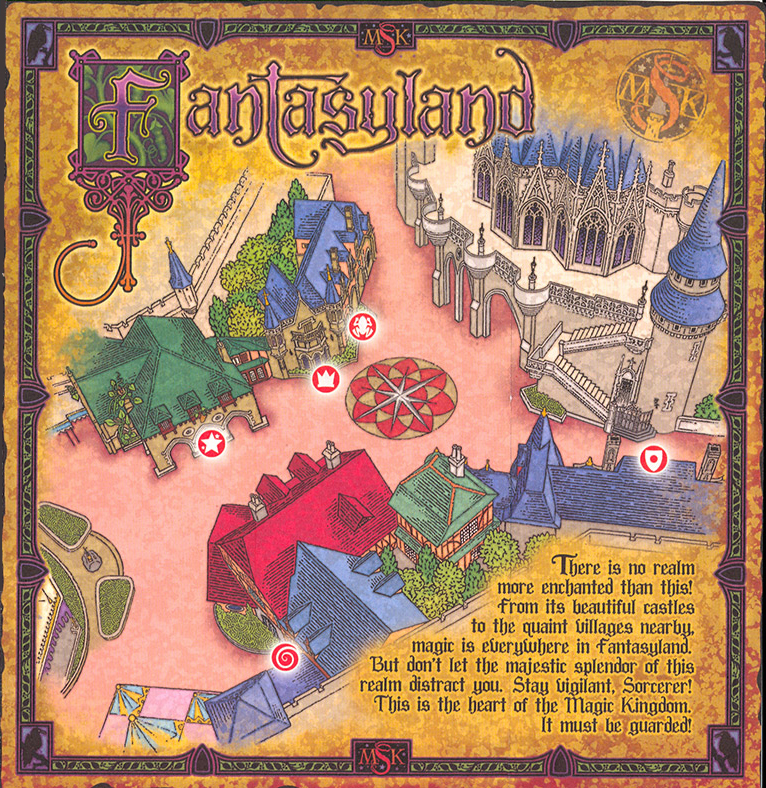 One thing I forgot to mention was to always finish the Fantasyland battles first. 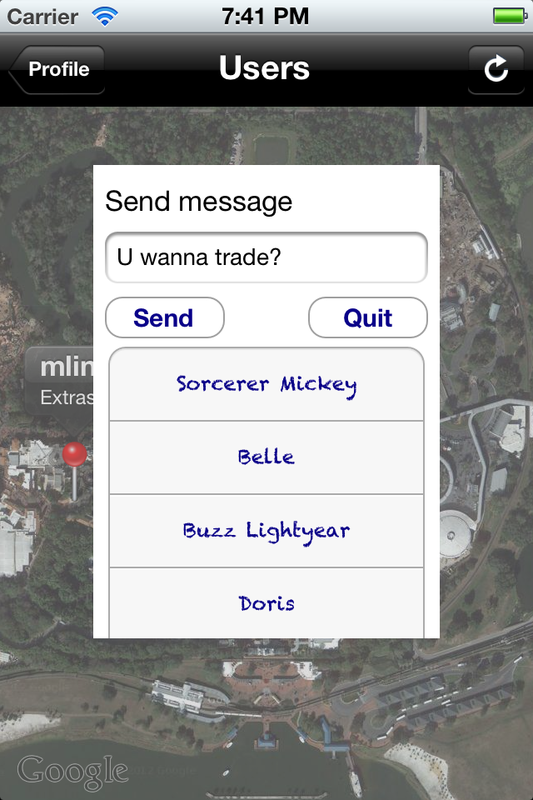 With the relocation of the finale to Frontierland, you now only have to battle Ursula & Maleficent in Fantasyland. The reason you want to complete this land first is because you won’t be able to access the portals in the evening hours before and after wishes. Which is roughly a 2 hour window. The reason for this is that location behind the castle is a fireworks fall out area. To avoid this kindly ask a CM either at the Firehouse or Christmas Shoppe to relocate you to a Fantasyland adventure. If you’re polite and explain to them that you’d simply like to finish those adventures before wishes you shouldn’t have a problem. There’s nothing worse than only having one battle to go before the finale and not being able to get it done! I received some exciting news over the weekend courtesy of app developer and friend of the blog Casey Santilli. Along with the help of his friend Michael Lindenmayer and their joint venture Hadjilogics. They are on the verge of releasing a free iPhone App called iSorcerers. Now there are already a couple pay apps on the market that have card photos and databases however this app will serve more as a utility and will make some major improvements to your gaming experience! Here are just some of the features that will be a part of this exciting new app! Here are a couple of screenshots provided to me by the developers. Make sure you’re following us on Twitter and join our Facebook Fan Page so you’ll know exactly when iSorcerers hits the App Store! 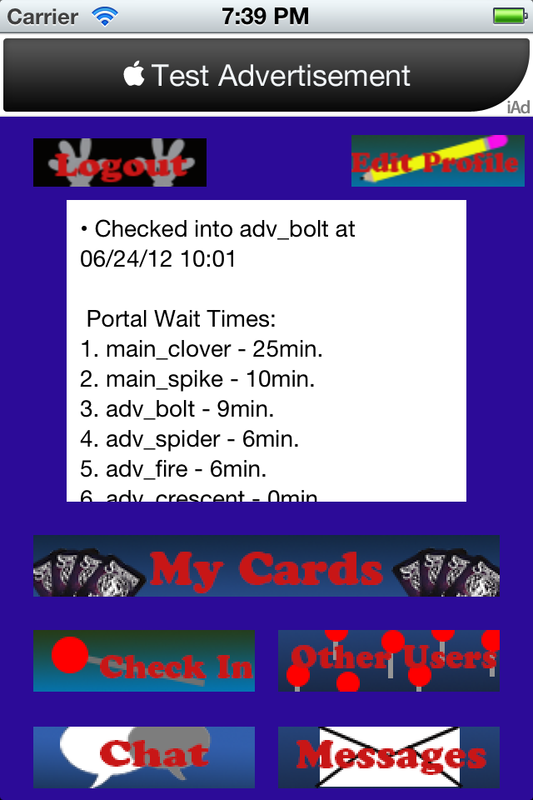 With summer crowds starting to pour in at the Magic Kingdom you can expect to have longer waits while playing SOTMK. 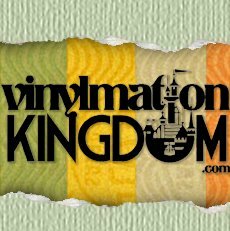 Here are a few tips that should allow you to have a better experience while trying to save the Kingdom! If for some reason SOTMK is your main focus for the day, start playing at rope drop. The portals are will be fairly empty especially in Adventureland & Frontierland. This will allow you to get in and out of Tortuga before the lunch rush, and get through all the Frontierland portals without being interrupted by the parade. In case you aren’t aware it’s crazy hot in the summer time. No matter how badly you want to power through and save the Magic Kingdom, it’s imperative you take a break every now and then. I’ve seem plenty of families have total meltdowns because they don’t realize that you have to defeat all nine villains before you complete the game. It’s a lot of walking and a lot of back and forth from one land to the next. Go on an attraction, watch a show, stop and grab a dole whip. There’s no need to run yourself or your family ragged trying to beat the game on a busy day. I don’t know how many times I’ve witnessed people wait in a line that’s 10 people deep only to find out they are at the wrong portal. There’s absolutely no shame in using the map, it was designed to help you. If you’re not sure where you are supposed to go ask a CM or another person in line. There are enough locals playing that know where everything else and should be more than willing to help you. I can’t stress enough how important it is to listen to the CM who is giving you the tutorial. I understand that everyone is excited but if you just take the time to follow directions it will make for a much more pleasant gaming experience. Hopefully these tips will make for a better experience while battling Hades and his evil doers! Although it can feel overwhelming in Tortuga Tavern with the traders. It can at times be a pleasant experience. As I’ve mentioned before there are a couple Facebook groups that you can join to get a feel for the trading community. In addition to the Facebook group run by friend of the blog Martin SOTMK Helpers which I believe has a fair amount of locals. There is also a larger group run by a nice fella named David SOTMK Group. That seems to have coordinated lots of trades without issue. If you’re able to get to the parks often I’ve met some great people in Tortuga that are there on a regular basis. Specifically Bret, Christin, Darren & Martin to name a few. They’re super cool and very easy to work with when it comes to trading and are also more than willing to help people finish their decks anyway they can. So check out those groups and be on the look out for those folks while in Tortuga. 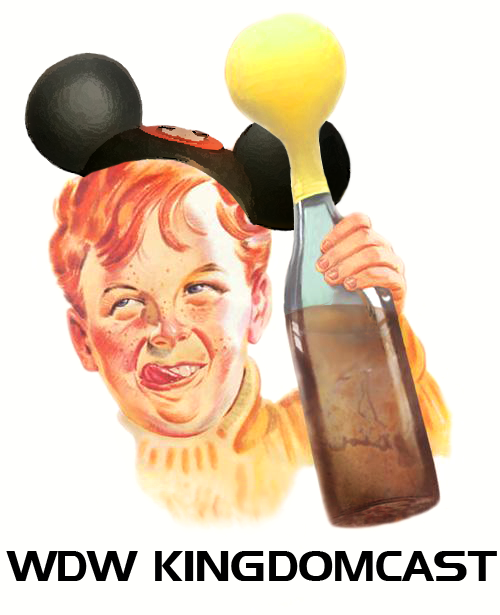 Despite all the crazies rest assured that there are truly are some wonderful people in the SOTMK community. Notice how the card on the right has a little tab near the bottom right corner. It appears there is still some confusion as to what a beta card is and how people can get them. Unfortunately they are highly sought after by collectors and can be difficult to obtain. 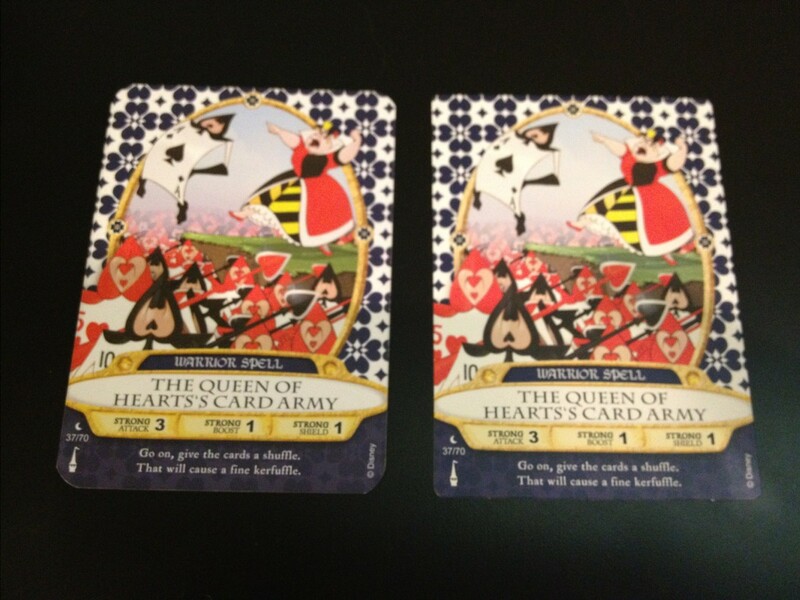 The beta cards were distributed during some parts of testing, soft openings, & early in the official launch. As a result of them being discontinued and having a high demand people are starting to counterfeit them. Here are some characteristics to look for in a beta. First is the obvious larger rounded corners. Another being the color of the image, the beta cards seemed to of used a higher quality ink that made the colors appear darker. Also the card stock they were printed on is a bit thicker and more durable than the cards currently available. Finally if you take a close look at the bottom or top of a newer card you’ll see a little tab where the cards were pulled from the sheet after printing. Although I have yet to see a fake first hand I’ve heard from others that people are simply hand cutting corners of the new cards trying to pass them off as betas. Considering there are people faking pins & vinyls this shouldn’t come as a shock to anyone. So as always be cautious when trading and if you’re not sure don’t take the risk. The Blue Fairy equal to Buzz Lightyear? Like most people I really had no clue what the numbers on the spell cards mean. At first I thought it had something to do with the strategy behind the game. Since we’ve come to find out that isn’t the case. My best guess is that the game was designed as a possible home game in the future. With rumors of extending the spell card library and the possible sale of booster packs on the horizon this makes sense. With the popularity of games like Yu-Gi-Oh, Pokemon, & Magic The Gathering it’s only natural for Disney to follow suit with SOTMK. Just imagine a SOTMK Tournament filling one of the convention halls at the Contemporary. Families booking specific trips to WDW just to participate in these tournaments. That would be hilarious to me. I get a kick out of some the sorcerers as it is, between the guy with the custom-made sorcerers crest ring or the guy who walks around with a wand I don’t know who is crazier. However the one thing I find really funny is that Buzz Lightyear & The Blue Fairy have equal values. Attack, Boost & Shield it’s all 2’s across the board. You mean to tell me that a Space Ranger is the same as a Fairy, no way! Regardless of that possible error SOTMK seems like the perfect candidate to join the growing list trading card games.